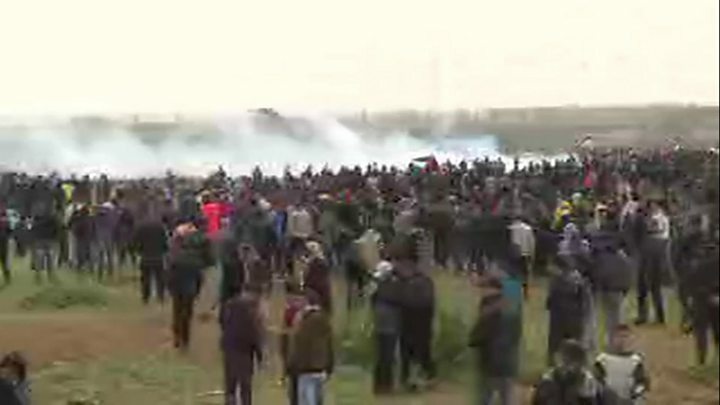 Thousands of Palestinians are gathering in the Gaza Strip to mark the anniversary of the start of protests along the boundary fence with Israel. The rallies backed the declared right of Palestinian refugees to return to ancestral homes in what is now Israel. A UN inquiry says Israeli soldiers may have committed war crimes during the marches – a charge Israel rejects. This day of protests will be a serious test of the fragile calm between Israel and Hamas, the Islamist group that runs Gaza, says the BBC’s Yolande Knell in Jerusalem. Egypt and the UN have been negotiating to try to prevent a further escalation after a tense week in which Palestinian militants fired rockets at Israel and Israel’s air force struck dozens of sites in Gaza. With large crowds expected near the fence, Israel has deployed extra soldiers, including snipers. Previous demonstrations have turned violent with Gazans throwing stones and petrol bombs at Israeli troops. Israel’s military says it only opens fire to stop Palestinians crossing into Israeli territory and protect Israeli civilians. Palestinian health officials say one man was shot dead by Israeli troops close to the fence overnight. 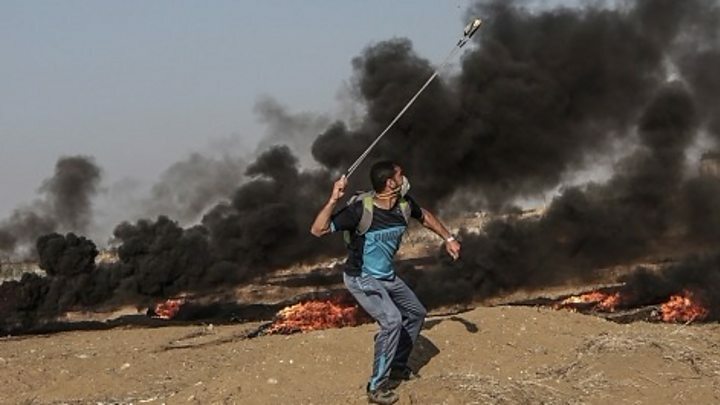 Palestinians have been taking part in protests along the border since 30 March 2018 as part of a campaign, dubbed “the Great March of Return”. 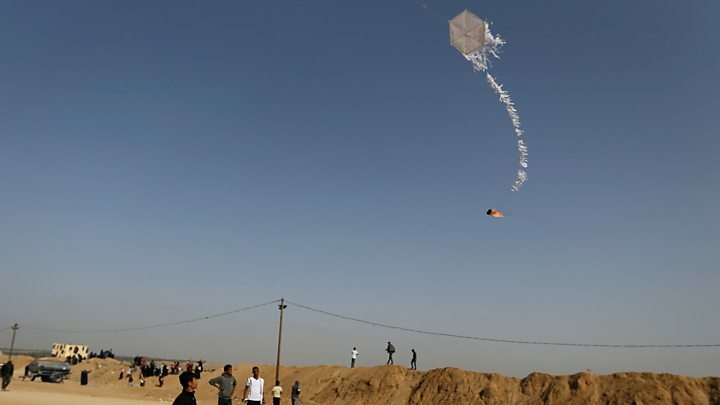 The campaign has been organised by the militant Hamas movement – which dominates Gaza and is designated a terrorist group by Israel – and other groups. The Israeli government has said terrorists have been seeking to use the protests as cover to cross into its territory and carry out attacks. A commission of inquiry, which was set up by the UN Human Rights Council in May, investigated the killing of 189 Palestinians between 30 March and 31 December 2018. Thirty-five of the fatalities were children, three were clearly marked paramedics, and two were clearly marked journalists, the commission found.